UNC Lineberger Comprehensive Cancer Center researchers have identified a combination of investigational drugs that have been shown to be effective together at targeting triple negative breast cancer in the brain in preclinical studies. Their findings will be presented at the American Association for Cancer Research Annual Meeting in New Orleans, Tuesday, April 19. 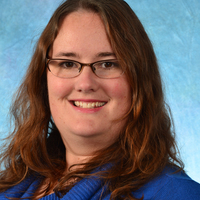 Amanda Van Swearingen, PhD, is a postdoctoral research associate at the UNC Lineberger Comprehensive Cancer Center. To try to fill a treatment void that exists for patients with a particularly aggressive breast cancer type after the it has spread to the brain, UNC Lineberger Comprehensive Cancer Center researchers have identified a combination of investigational drugs that have been shown to be effective together at targeting the disease in preclinical studies. Their findings (abstract #3867) will be presented at the American Association for Cancer Research Annual Meeting in New Orleans, Tuesday, April 19, 1-5 p.m., CST. In preclinical studies, the researchers studied the combination of two investigational drugs as a potential new treatment strategy for triple negative breast cancer (TNBC), a particularly aggressive type of breast cancer. Nearly half of patients who have metastatic disease, or disease that has started to spread throughout the body, will spread to the brain. They were interested in this particular combination because both treatments have been shown to be able to cross the “blood-brain barrier,” which is an obstacle for getting drugs to cancer in the brain. The drugs also target two molecular pathways shown to help drive triple negative breast cancer called the PI3K pathway and overexpression of a gene called AURKA. They found that the drug combination was more effective than either drug alone at killing triple negative breast cancer cells for some of their cell samples, but not others, and that the dose and the ratio of one drug to the other mattered. Van Swearingen will present this work conducted by her and co-author Maria Sambade, PhD, a UNC Lineberger research associate.